yet it took on such a life of its own, it could hardly be discarded. Just for fun and Old Times' Sake, I added a mathematical Train Word Problem. discussions between Ivan Goldberg ('57) and Mr. Levy, my favorite math teacher. Promise you will not give the answer until we can participate. that I majored in English rather than Math. It's only been in the last 15-20 years that my Word Problem nightmares have ceased. from Illinois. WILD GIGGLES!!! Thanks! the correct answer. Go ahead, test the knowledge of this great group of TYPHOON. And I've still no clue..... WILD GIGGLES!!! Anyone? Anyone?? to the same speed as the freight train to avoid a collision (there are no "passing lanes" on a railroad). Therefore, the passenger train will never get ahead of the freight train. will be left on the wire? A: (Anywhere else) None, because the other crows will fly away. Oh, for Pete's sake! YOU GUYS!! WILD GIGGLES!!!! Thanks, Frank - and Joe! comment from him for old times sake. They were classics. Is it really true that Ivan has mellowed with age??? You are the greatest, Kid!!! on me for old times' sake. FT will have traveled only 120 + (60 x 8) = 600 miles by then. Hope this helps. Keep up your great web work. Thanks, Fred - and Chris! Freight Train Math Word Saga continues! the freight train will travel 60 billion miles and the passenger train only 90 billion...always 1-1/2 times the distance). Thanks, Gail - and Jim! Okay, Joe - how are we doing??? Now really, wasn't that fun? Brain stimulation slows down the aging process! for brain stimulation. That math section of my brain atrophied long ago! GIGGLES! about the trains! Call the station. They will tell you which arrives first. the Word Problem was solved. Class Dismissed!!! math skills sound about on par with yours, Carol. (from Webster University), I just felt it should be posted. As you'll note, this answer is in agreement with some of the earlier ones. Now get some sleep. Mr. Taylor will let you out of algebra class any day now. no longer remain silent. Remember: You asked for this. this takes time. This time varies with the mass of each train and the force applied to accelerate it …. acceleration curves from a standing start and the curves as each train approaches its desired velocity. train overtakes the freight train. differential equations, as well as a host of unknown values not provided in the original word problem. Accordingly, my solution to the word problem is: INSUFFICIENT DATA. David, you're not only adorable, you're positively delightful! Thank you so much for these elucidating insights! the problem, which explains why we had a variety of answers in an exact science." to pass the Freight Train are correct. mission: to give ulcers, raise blood pressure, and cause one to break out in hives. So thanks for the brain teaser! It has been very educational on a number of levels! I decided to sit back and be quiet for a spell but I have decided it's been long enough. Almost 2 days. then we're ok. I have decided against taking the train and am going to FLY back to Tampa on Tuesday. need one..." I hope all the train word problems go to the station for permanent night-night! "STOP THE TRAIN!!! ", and "No, wait - my shoes are in there!" introduced some rich family phrases, both from my mother, delivered in her own amazing stage whisper: "Mike! What time is it?" and "Wake up! Wake up, everybody!! We're at Fargo! FARGO!! You know - where the STAGE COACH runs!" enchanting than the first two. Being a former engineer like Dave Spriggs ('64 - of VA), I can’t let this go either. answer, even a simple algebraic one. Here is the original problem. station traveling at 90 mph. How far will the first train get before the passenger train catches up to it? to double the distance from the station they both left? posted about “assume” is generally true. fairly obvious that if we’re talking about the passenger train doubling its distance, the answer is 8 hours and 720 miles. to 45 mph. Again, the problem did not say which distance to use, so you have to make an assumption. 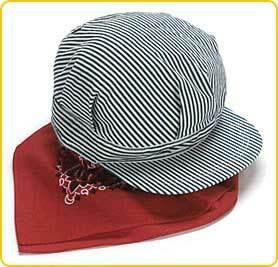 I just “assumed” they wore those neat little, blue-striped engineer caps, red handkerchiefs (not to be confused with “kerchief”, or “hankerchief”) and pulled down on their “Toot-Toot” whistles all day, kind of like Casey Jones. 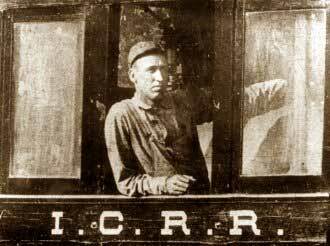 The only known authentic photograph of Casey in the cab of an engine. 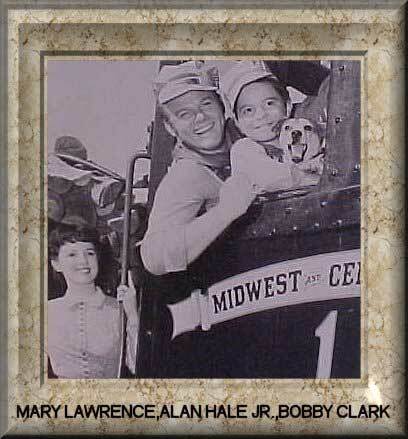 Of course we all remember the Casey Jones TV show back in the 1950’s with Alan Hale, Jr. When is Casey Jones' birthday? WILD HYSTERICAL GIGGLES!!! Wake up, Jean - We're at Fargo! FARGO!! Thanks, Fred! I think I laughed for five whole minutes! entertained during lulls in major league baseball games being called by former pitcher turned broadcaster, "Dizzy" Dean." I sure had fun reading the responses from your vast audience of subscribers to the Newsletter. I had fun too, Adonis - thanks! All right I give up...a train story from me! my mother-in-law came to meet us at the train station. My mother-in-law said, "I prayed all day that John would come with you". I replied, "Well, you either prayed not enough or too much because he actually rode with me for two hours! GIGGLES! Oh, good for you, Jean! Thanks! This is my father at the age of 10, around 1912. To his right are his parents and to his left are the engineer with his wife. 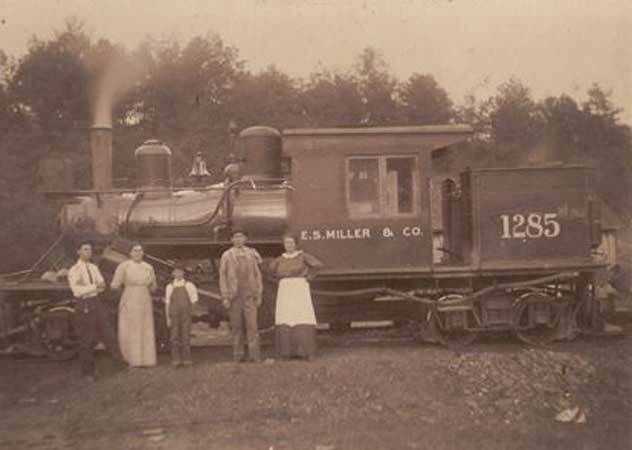 Note the name on the train, that was my grandfather's sister's husband! COOL BEANS!!! Your own personal train! Well, sorta - close enough for our purposes, anyway! Thanks, Linda May! I do know this: I had two whole seats to myself, a lot of floor space, room to stretch my legs out, could walk two cars back and get food and drink, did not have to take off my shoes or jacket, did not have to put anything in a plastic bag, had my luggage in sight at all times, no standing in line for security...it was lovely!!! Sounds delightful to me! Thanks, Lady! at the suggestion of Dave Spriggs ('64) of VA - 07/04/03.